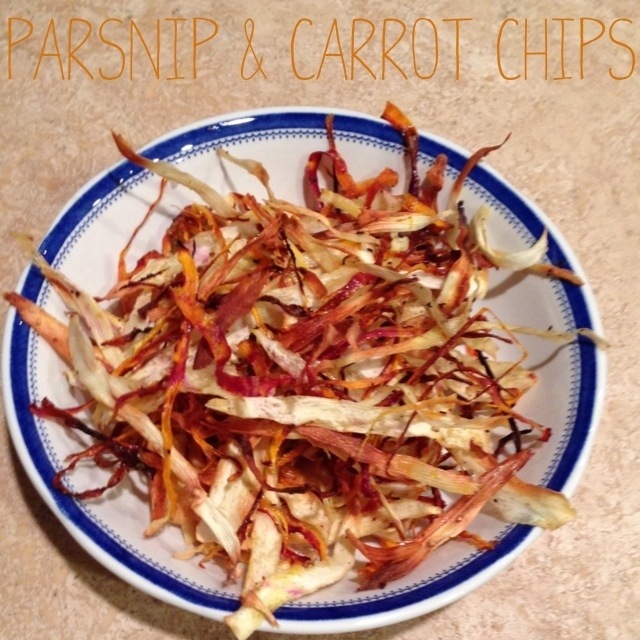 parsnip and carrot chips | Is there any wine left? We got a bumper crop of carrots and parsnips in our last Farmhouse delivery. I put them in salads, snacked on them with hummus, and put them in sauces, but there were still so many! I decided to shave and roast them for a quick snack. 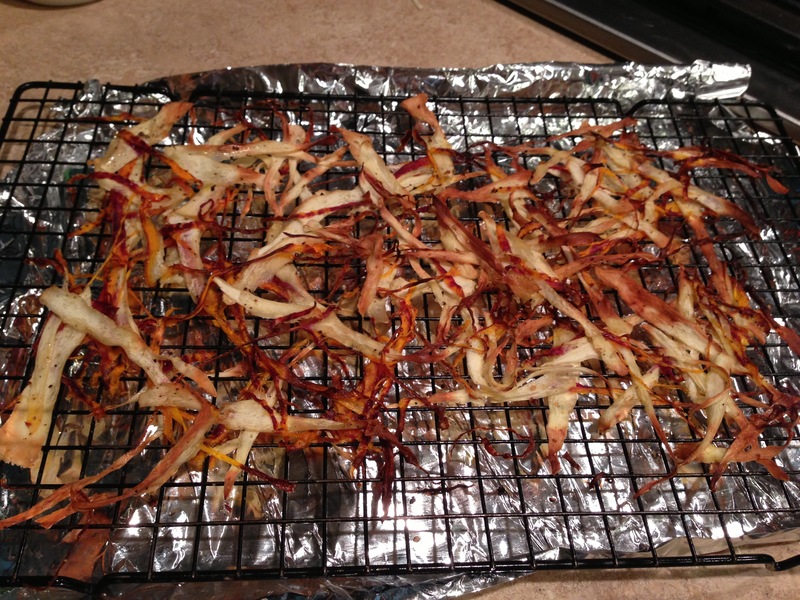 To make these, use your vegetable peeler to make thin strips. Toss them with a little olive oil, salt and pepper. 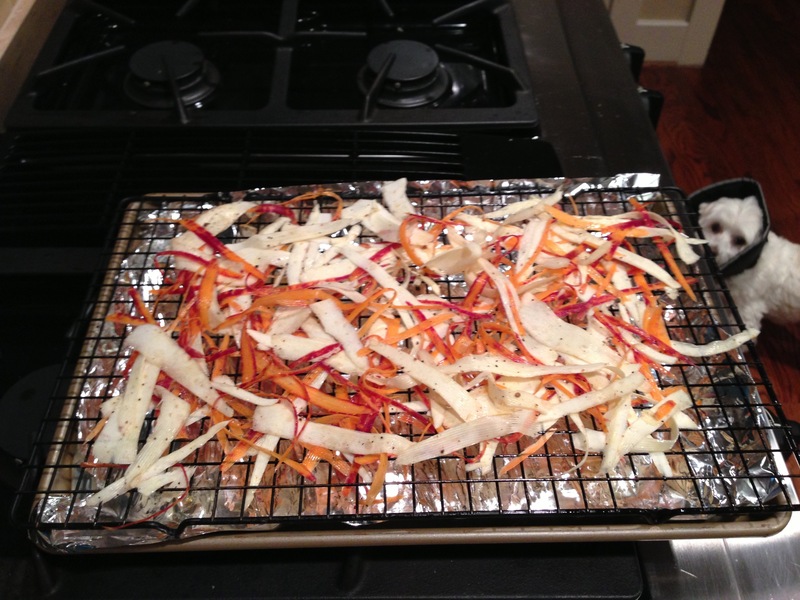 Lay the vegetables on a cooling rack that has been placed on a cookie sheet. Bake them in a 400 degree F oven for 12-15 minutes, until lightly browned and crispy. This is an easy, delicious snack with nutrients– win, win!